"Bright Eyes" is one of the most powerful songs I have ever heard. Listening to it for the first time with Andy and Ellen in their home was the single most emotional experience of all my years as President & CEO of the ALS Association. Listening to it again today and seeing the photo of that day literally gave me chills up and down my spine. You inspired all of us and passed on a legacy of love and compassion to the next generation. Keep up the great work, Anna! So many of us in this world truly appreciate your helping us get in touch with our more profound emotions through your deeply moving music and lyrics. Sharing "Making History" with my wife went really, really well. She completely loved her Valentine's Day song. She has been listening to it ever since. She told me afterward that it was literally the best gift she has ever gotten. The balance of funny and emotional played out really well. Especially the way each verse progressed from the former to the latter. I have to tell you, giving it to her was an awesome experience for me as well. Thanks so much for all the work you put into it. Anna Huckabee Tull is a musical genius! Anna Huckabee Tull, you are a musical genius! You took my book and my keynote speech, and with just a few conversations, wrote a song that completely embodied the message I want to share with my audiences. To top it off, you are a living and breathing example of exactly what I teach: Red-Carpet Customer Service. Thank you! Thank you for creating the song "I Have a Choice." It is my privilege to share it with so many others. 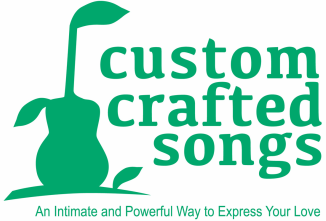 I can't recommend you enough to anyone who has a story they want to share in song. Donna Cutting, CSP, Author of "The Celebrity Experience: Insider Secrets to Delivering Red-Carpet Customer Service."